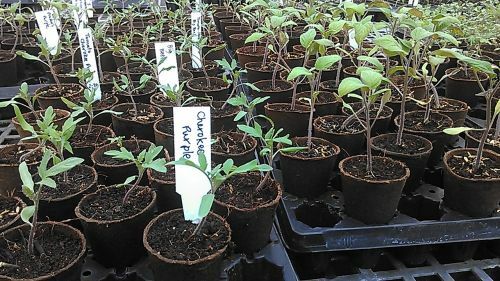 Plum Granny Farm Market Update - End of Season Countdown! Posted 11/12/2012 11:16am by Cheryl Ferguson. Hello Plum Granny Farm Friends! Wanted to fill you in on the latest news about our markets and products. Several of you have been asking about our ginger harvest this year. Unfortunately several issues kept us from getting a good harvest but we do have some ginger available now at market. The photo above shows a small display of the baby ginger, galangal and turmeric. The turmeric will be growing a bit longer so that it can bulk up some more. And speaking of markets... it is hard to believe, but we are closing in on the LAST regular farmers markets for 2012! There are 2 more Tuesday Cobblestone Farmers Markets (11/13 and 11/20) and 1 more Old Salem Farmers Market (11/17). All 3 makrets are from 9-noon and we'll be at them all! They are perfect opportunities to get some wonderful delights for your Thanksgiving Holiday table! In addition to the things that you'll be serving up, don't forget about Holiday gifts! 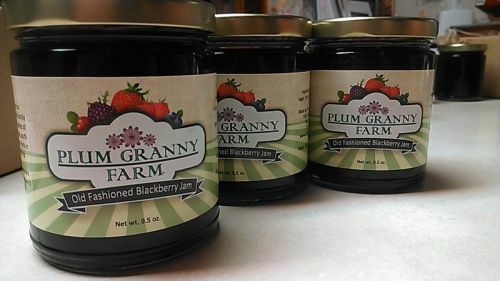 It would be a great time to stock up on jam (we now have 7 varieties!) or our gorgeous garlic braids for gifts! We can even ship your purchases to out-of-town family and friends if you'd like! Plans are underway to do some Saturday Holiday markets in Winston-Salem during December. The details are still being worked out so we'll let you know as soon as we have the specifics. So take advantage of these last few opportunities to support local farms. Let "Buy Local" be your mantra for the Holidays! In this time of Thanksgiving, we want to express our sincere appreciation to you for your ongoing support. It is wonderful having great customers like you -- you have become much more than customers -- you are our friends! Here's to enjoying organic, local and GOOD food!